Galileo Telescope Makers is the first and the last name in the rarefied arena of Astronomy in India. What makes this 24-year-old Astro powerhouse ahead of the curve? The fact that it is an iconic astronomy company owned by an ace astronomer, whose profound knowledge of the subject helps you select the product, which is highly personalised to suit your lifestyle and requirements. Where you come from, where your interest lies and where do you see yourself going in your quest to explore and expound not just the sky but also the entire universe - all this and much more - makes Galileo Telescope Makers truly a personalised luxury experience. GTM is one of the largest suppliers in India for Meade, Celestron, SBIG, Televue, Coronado, Takahashi, Losmandy, Stellarvue, JMI, Vixen, Planewave and many more international brands of repute. We offer the entire spectrum of astronomy products and accessories ranging from moon filters and power cords to large aperture apochromatic refractors and large format CCD cameras. If it is out in the market, you will find it on the GTM online store. GTM also features a full line-up of binoculars and spotting scopes from Celestron, Bushnell, Leica, Nikon, Canon, and many more. We can answer any inquiry about telescopes, eyepieces, CCD imaging, equatorial mounts, and much more. Just give us a call or send us an e-mail and GTM helps you to unlock the mysteries of the Universe. Galileo Telescope is located at USA & India. We are 24 years young! GTM was founded in 1990 by Nilesh Vayada, an astronomy enthusiast who is now a fullfledged ‘astropreneur’. At the start of his career as an astropreneur, Nilesh personally built telescopes for individuals based on their requirement. From 1998, GTM began large scale import of telescopes and telescope accessories to cater to the rising demand. The exponential growth in demand meant that it is no longer requiredctovbuild telescopes personally for every person. GTM’s earliest website in 1998 included a simple list of telescopes and accessories on atiindia.com. During that time, most upcoming online portals included GTM on their sites. In 2003, GTM created its first online e-commerce portal, www.galileotelescope.com. From 2009 onwards the website became interactive and knowledge-oriented. Today we are the only company in India that offers astronomy education alongside our telescope sales. From 1998, GTM began large scale import of telescopes and telescope accessories to cater to the rising demand. Our office and warehouse are located at Mumbai. Here clients come for guidance, consultation and to physically purchase from a wide array of products. The greatest advantage of visiting the office personally is that they get to consult Nilesh who has the experience of understanding the customer’s needs, and the reputation for recommending the best fit for their needs. Network of distributors and agents: Our channel partners have our product range for easy access to various areas in the country, but it is Nilesh who provides consultation on what and how they should finalize their purchase. Online: We are present online not only through our website but also through various other ecommerce platforms. Individuals with private farm house, terrace etc. 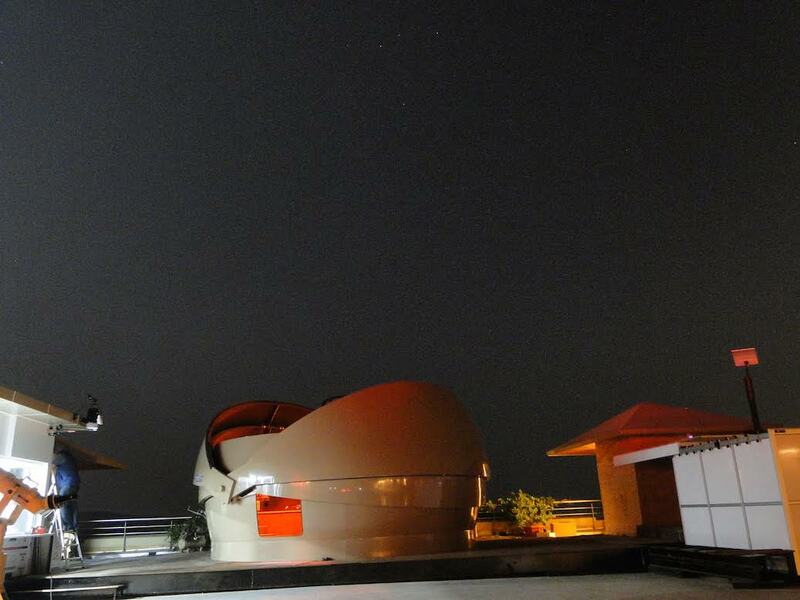 Designing and building private observatories is the latest service offering of Galileo Telescope Makers. We have commenced building private observatories for individuals and large corporate houses. This helps them explore the Universe in the privacy of their own quarters with a complete set-up and the latest equipment . Living up to the expectation of thousands of customers has been our satisfaction. If they have questions about our products, need help placing an order, or about an order they have already placed, they can send us an e-mail 24 hours a day, seven days a week. Alternatively, they can send us a fax, start a chat or, if they prefer, an old-fashioned letter via snail-mail. We are flexible and open to any means of communication. Our office is open seven days a week. Above all, galileotelscope.com is open 24/7 for your shopping pleasure.